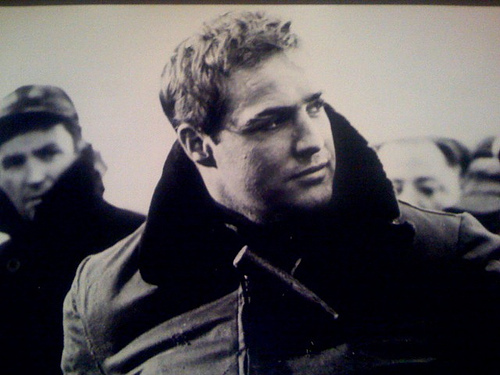 “I coulda been a contender,” laments the boxer Terry Malloy (Marlon Brando) in On the Waterfront (1954). “I coulda been somebody instead of a bum . . .” If those lines are among the most famous in American film, it is perhaps because they express a familiar human desire. Which of us would not wish to be a “contender”? To be “somebody” in others’ eyes? Yet, as Shunryu Suzuki Roshi observes in his essay “Calmness of Mind,”* the desire to be “somebody” is costly to the human psyche. It steers us into trouble. And as Suzuki also observes, the desire to be somebody bears an intimate connection to the process of breathing, specifically inhalation. “[W]hen you are more interested in inhaling than in exhaling,” he notes, “you easily become quite angry. You are always trying to be alive.” When we are inhaling, we are “trying to be active and special and to accomplish something.” And when, in meditation, we make our inhalations the main focus of our attention, we may only add to our anxiety. In Suzuki’s view, conscious inhalation, striving, and the drive to be somebody are of a piece, and all conduce to suffering. First practice smoothly exhaling, then inhaling. Calmness of mind is beyond the end of your exhalation. If you exhale smoothly, without even trying to exhale, you are entering into the complete perfect calmness of your mind. You do not exist anymore. When you exhale this way, then naturally your inhalation will start from there. All that fresh blood bringing everything from outside will pervade your body. You are completely refreshed. Then you start to exhale, to extend that fresh feeling into emptiness. To those accustomed to feeling pride in their achievements and excitement in the act of striving, Suzuki’s advice might seem wide of the mark. What’s wrong with puffing out one’s chest when one has completed a project with flying colors, or earned a promotion, or received a coveted award? What’s wrong with being a contender? And conversely, why should anyone want to be an empty, white paper? In a culture of relentless self-promotion, Suzuki’s admonition might seem a recipe for self-annihilation or self-inflicted failure. And even those of a more modest nature might justly resist a practice that fails to acknowledge our deep-seated need for personal recognition. Such a practice would at best be incomplete and at worst self-deceptive. Fortunately, Suzuki Roshi was not among those Zen teachers who advocate, or appear to advocate, extinction of self as a condition of awakening. In the passage quoted above, Suzuki acknowledges that when we inhale, we bring “fresh blood” into our bodies. And elsewhere he notes that after a full exhalation, when we once again inhale, we “come back” to ourselves “with some color or form.” What Suzuki is proposing is not the extinction of self but a redress of an imbalance—a reordering, as it were, of priorities. When we focus on the in-breath, we are supporting what Suzuki calls the “small self,” the self whose first concern is its own survival. By contrast, when we focus on the out-breath, we are attending to the “big self”: to interdependent reality, of which the small self is only a part. Focusing on our in-breath, we separate our small selves from the web of life; focusing on our out-breath, we “gradually vanish,” reentering the stream of moment-to-moment living. In Zen teachings, “small self” and “big self” correspond to the “relative” and “absolute” dimensions of our experience. And these, in turn, are represented by the analogy of a wave and water. In that analogy, the wave represents the relative dimension, where conditioned forms arise, endure for a time, and eventually dissolve. By contrast, water represents the formless, ultimate dimension, from which all forms arise and to which they return. Breathing in, we renew our sense of a personal self, our existence in the relative dimension. We become contenders, and more power to us. Breathing out, we recognize that in absolute reality, all conditioned forms, including the one we have just created, are subject to dissolution. They are on their way out. Practicing in this way, we maintain our balance, our realism, and our inner peace. *Shunryu Suzuki Roshi, Not Always So (HarperCollins, 2002), 5-7.